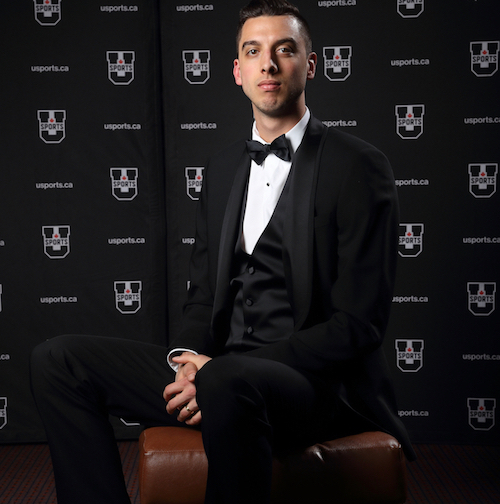 For 24-year-old Ryan Sclater, a former volleyball player at Trinity Western University (TWU), life has been full of accomplishments on and off the court. 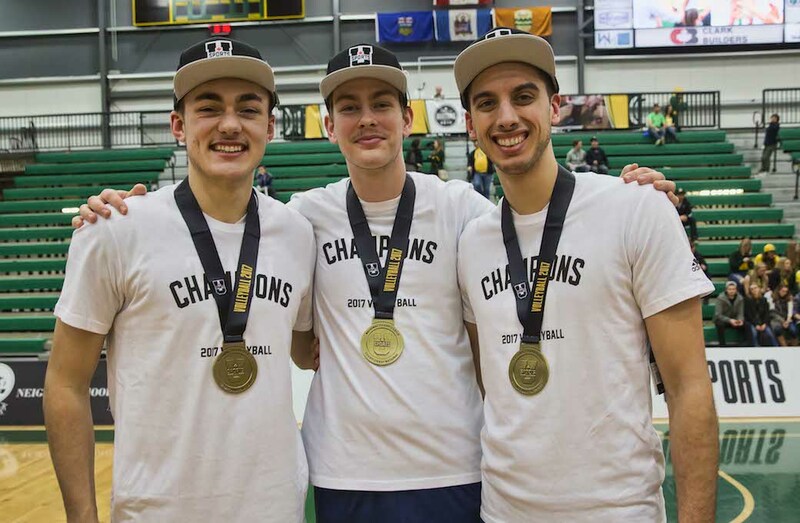 The 2017 BLG nominee and U SPORTS Player of the Year’s most recent volleyball accomplishment and dream came true this summer when he was chosen to play for Team Canada’s men’s volleyball A quad. After being cut from the B team in 2016 and playing on the B team in 2017, he was able to step up when the opportunity presented itself. Though before the Port Coquitlam, B.C., native got the chance to represent Canada on a national level this summer, he completed his first season with SVG Lüneburg of the Bundesliga, the top German league. 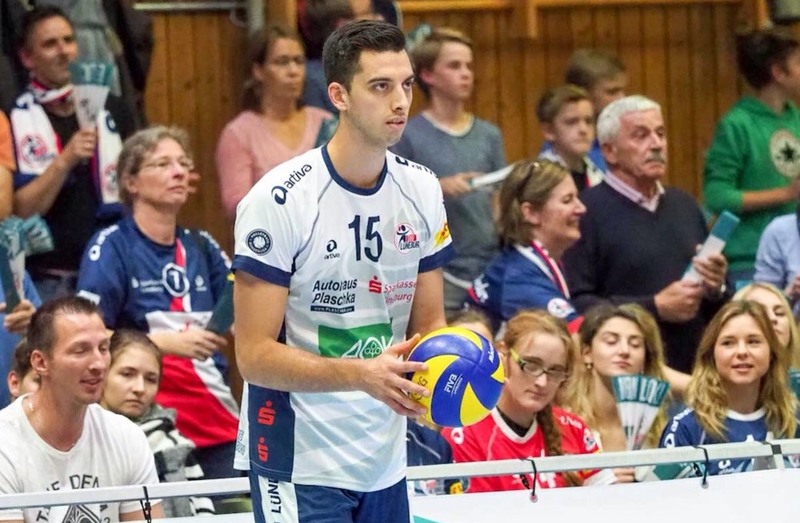 Following in the footsteps of former TWU teammates Nick Del Bianco and Tyler Koslowsky and with the help of TWU coach Ben Josephson, Sclater signed with an agent and landed a contract with SVG Lüneburg. 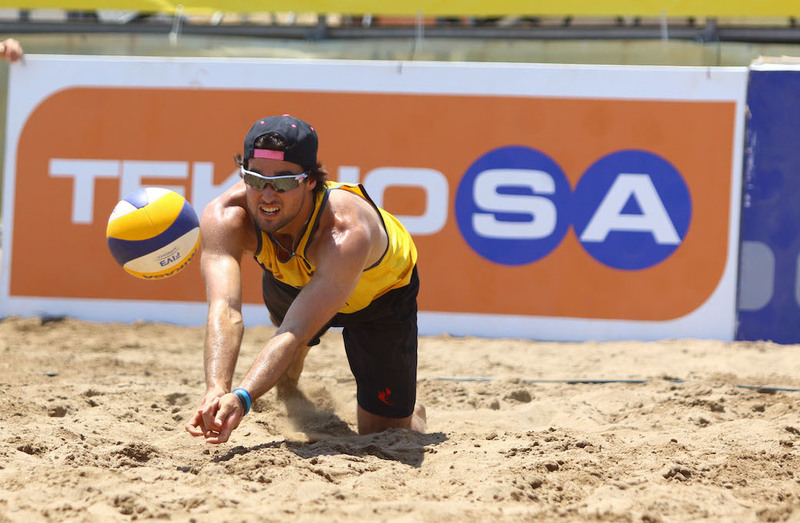 But Sclater, unlike a lot of young athletes, was not just making such a life-changing decision for himself - he had his wife Amy to keep in mind as well. For the young couple who started dating in the twelfth grade and were married in 2015, a future together was something they both knew they wanted from early on. “Our relationship at that early age was looking forward to and really planning our lives together which is a lot more serious than a lot of couples, even if they have been in a relationship for a longer period of time,” says Sclater. Josephson has been a key component in helping mold athletes like Sclater to prepare them for the world of professional sports. He credits running his program with the professionalism of a pro team, as one of the reasons they have as many U SPORTS titles, professional players and award winners as they do. Although these accomplishments may not be as prominent outside Canada, Sclater sees the reputation of U SPORTS talent being recognized more every day. “The reputation of our league (U SPORTS) is starting to come around a little bit where clubs are giving more credit to the success we would have in U SPORTS and recognize that successful athletes in our league can come over to Europe and do well too,” says Sclater. 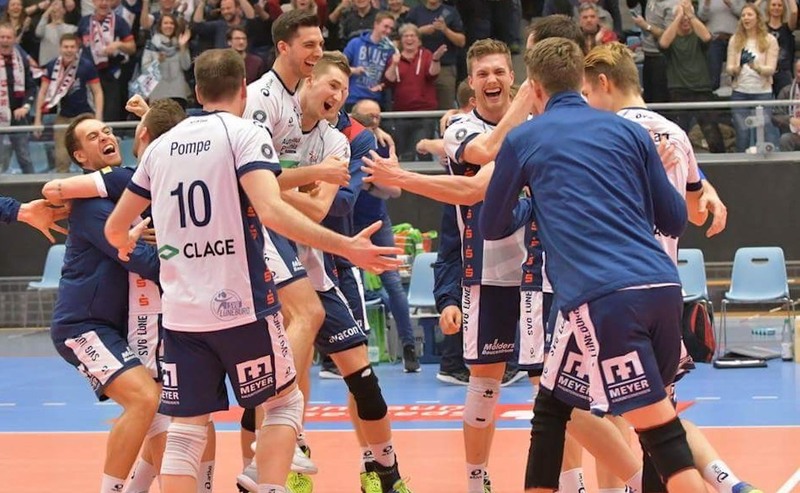 This is seen with SVG Lüneburg’ recent signing of his fellow TWU graduate and teammate Adam Schriemer, who like Sclater was named U SPORTS Player of the Year this season. The accolade is an accomplishment not many receive, and can often come with pressure to maintain a certain standard, but luckily for Sclater, he does not feel this pressure simply because he does not make it define who he is. When not having fun on the court, Sclater and his wife spent their time exploring the old city. Soon, Germany will mean even more to the couple because it will be the home of one of their biggest accomplishments yet. 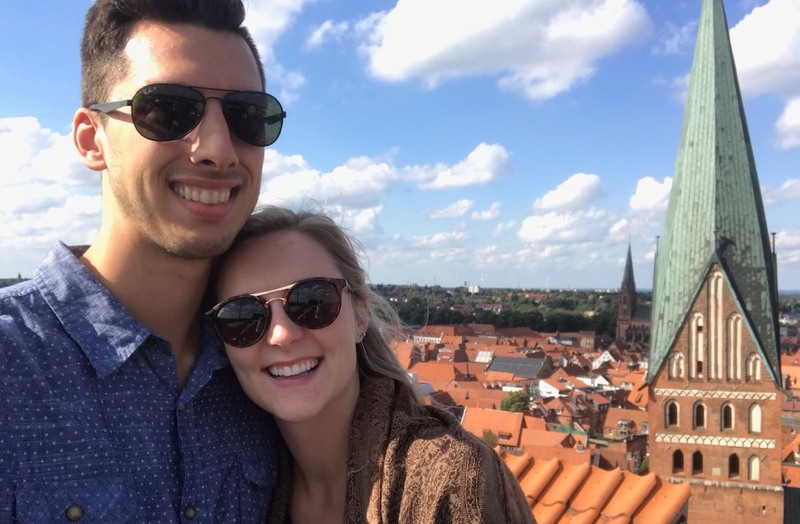 Sclater and his wife Amy will be expecting the arrival of “Baby Sclater” in Germany in January of 2019. Although he jokes that he hoped to have a son early enough so they could play on the same team one day, the little moments like reading a book to his child before falling asleep, and just having quiet time with his new little family will be more than enough.